Ignorance is Bliss When You’re Driving to the Vet! 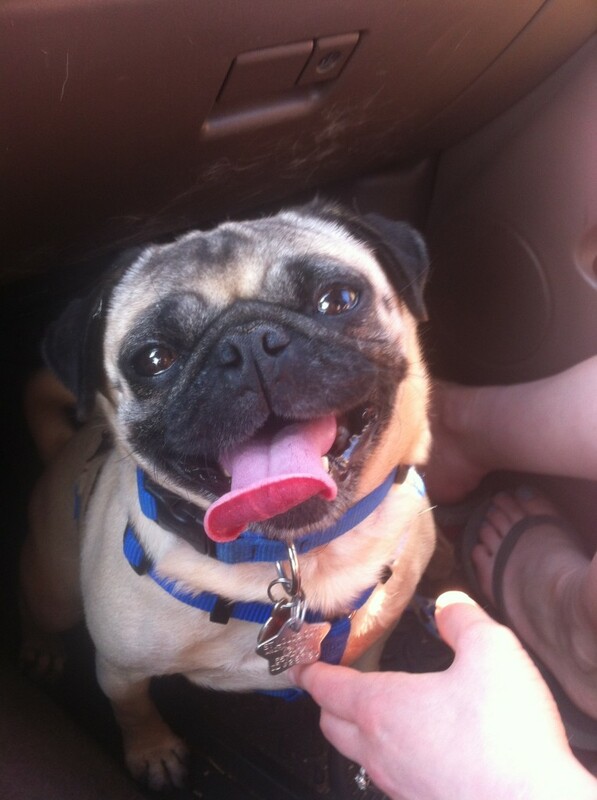 Nickie loves going for rides in the car, and we love bringing her along as a travel companion for trips to the park, the pet store, and other adventures. Car rides to the vet’s office are always bittersweet. Nickie has a fantastic time until the dreaded building comes into sight, then she’s wishing she stayed home. Shhh… don’t tell her we’re on our way to the V-E-T for a checkup! For the many people embarking on long road trips this Memorial Day weekend, we can sympathize. Spending hours in the car in traffic on your way to your new destination isn’t the most fun way to spend the day, but you’ll be there soon! 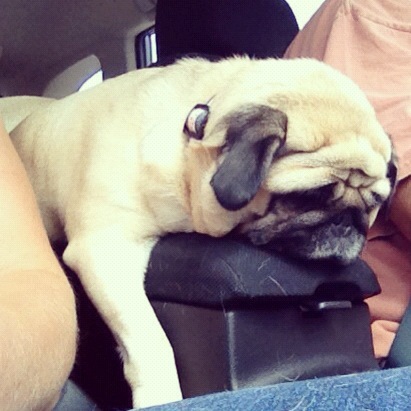 This pug looks particularly tired of being cooped up in the car. 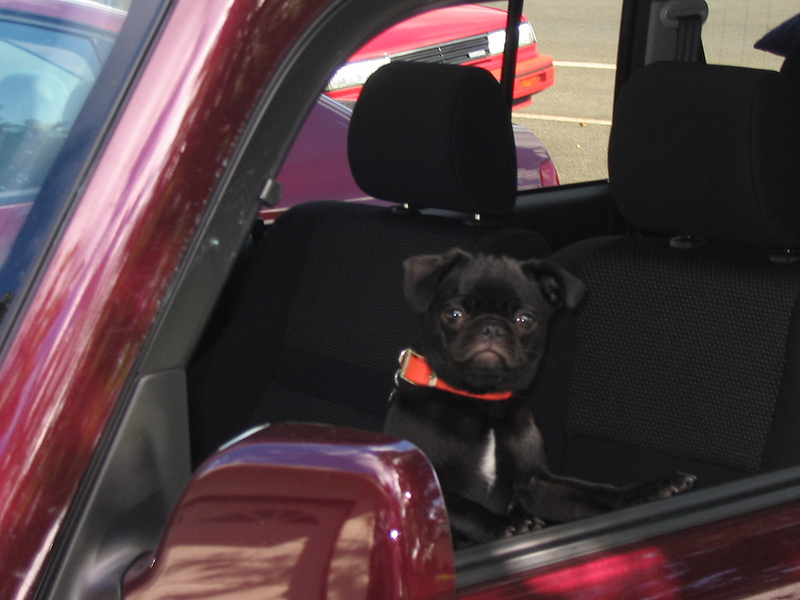 The weekend is the perfect time to pack up your pug in the car and go cruising around. I know Nickie loves hopping in the car with us with the breeze in her face and some tunes on the radio. 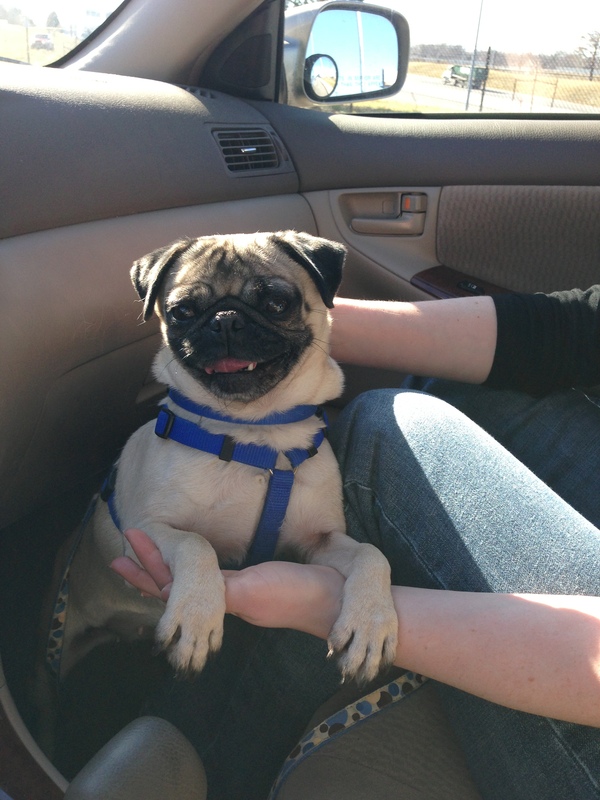 Here are our favorite pictures of pugs out on the town for a drive. #1) Come on guys! It’s go time!